Congratulations to "Bn100", the winner in Janie's giveaway. Please contact JUST ROMANTIC SUSPENSE to claim your prize. Thank you to all who participated! Anybody else busy like crazy? I sometimes feel like I have little time to myself. I’m sure being a mom of four teenagers is the culprit. But my free time is highly valued—I know yours is too. When you read, you want a book that keeps you riveted from page one. 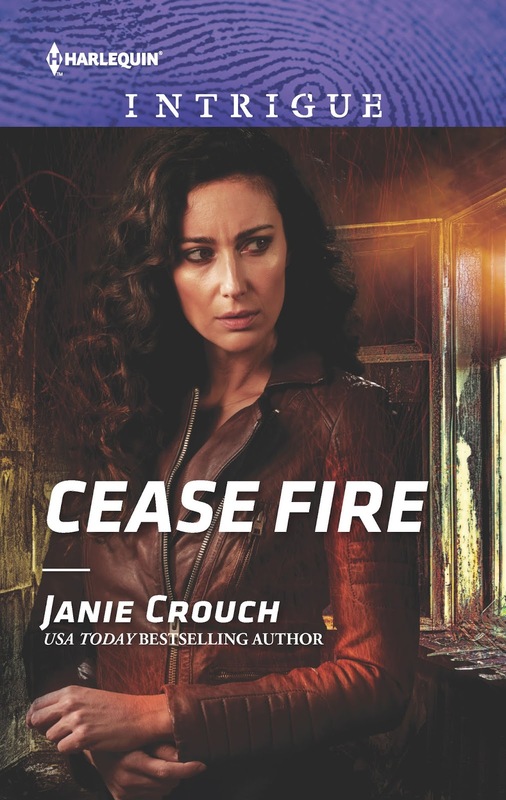 CEASE FIRE, a surprise pregnancy story with dangerous twists and a protective hero, is exactly that kind of book. This picture pretty much sums it up. 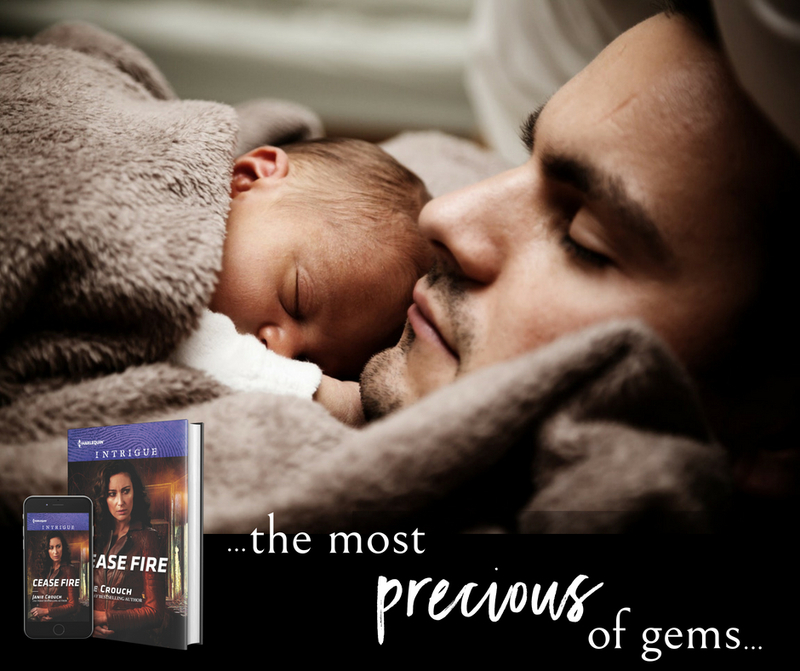 Is there anything sexier than an alpha hero holding a baby like she's the most precious of gems? 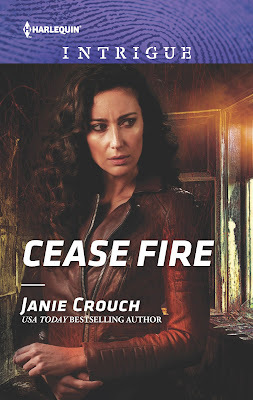 Meet Roman Weber in CEASE FIRE. He's definitely swoon-worthy, and I loved writing him from the start. And Keira is a heroine more than enough to bring him to his knees. Add a killer targeting both of them...you've got a book you won't put down. This lethal soldier who could crush his enemies in his hands, was using those same hands to hold the baby like she was the most precious of gems. Keira's pulse tripped over itself. How could she not fall in love with him? Janie is giving away reader’s choice of any of her Omega Sector books–past or future (USA: print or ebook. All other countries: Ebook only). Comment below with the name of a book you’re reading now (or plan to read) to be entered to win. One perfect weekend changed his life. Two months ago, Roman Weber and Keira Spencer spent a breathless weekend together. But her sordid past and his privileged upbringing conspired against any happily-ever-after. When Keira is targeted by a killer, Omega Sector assigns Roman to safeguard her--and possibly win her back. Then Keira reveals she's pregnant, and Roman knows the killer must be stopped...if they ever hope to become a family. Giveaway ends 11:59pm EST June 2nd. Due to GDPR regulations you no longer need to submit your email address in the comments. If you have been selected as a winner your name will be posted at the top of the post. You may then contact maureen@justromanticsuspense.com to claim your prize. Your email address will be shared with the author/publicist providing the giveaway. Right now I am reading Step on a Crack (Michael Bennett, Book 1). I am reading Black Diamond by Susannah Sandlin, Stranded with the Detective by Lena Diaz and a couple of author ARCs. I just finished Spin by CD Reiss. I love romantic suspense!